How to Prorate during Move-Out? Search for a tenant you wish to Move out. 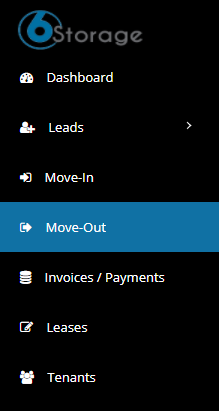 Choose the desired date and click on Move out now button. Enable Prorate checkbox, It is a method of collecting or refunding the payment according to the number of days the tenant has occupied the unit. 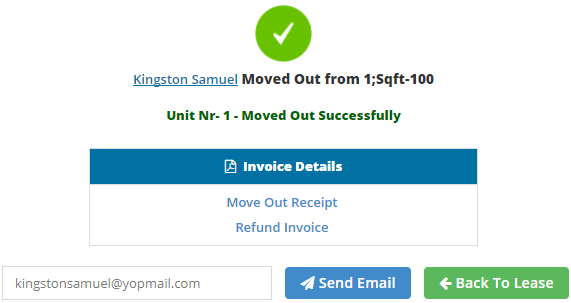 Click on Refund button and enter the amount in "Refunding Amount incl of tax" textbox that you wish to refund to tenant. 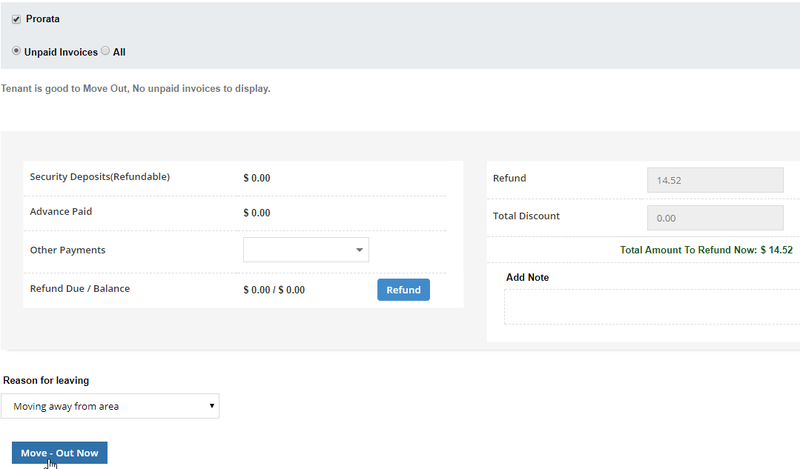 Also select refund type and payment type. To proceed with click on Refund button.